A Cool Totem choice for teens and adults. This range offers good ergonomic back support together with a relaxed fashion feel. Fully Padded, ergonomically designed back feature for optimal comfort. 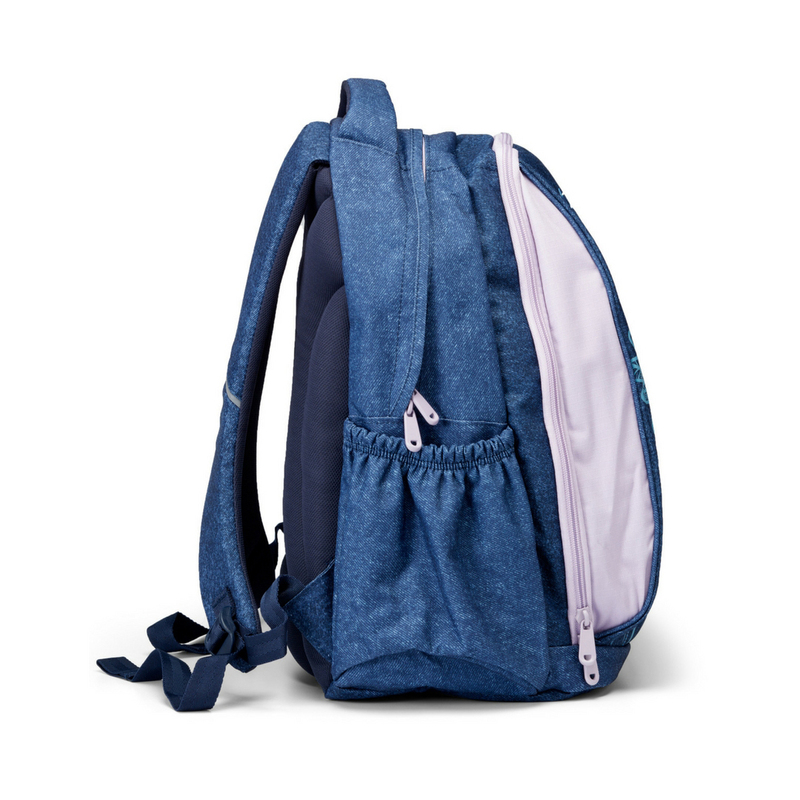 Ergonomically shaped, fully padded shoulder straps. 2 main compartments; 2 elasticated side pockets. 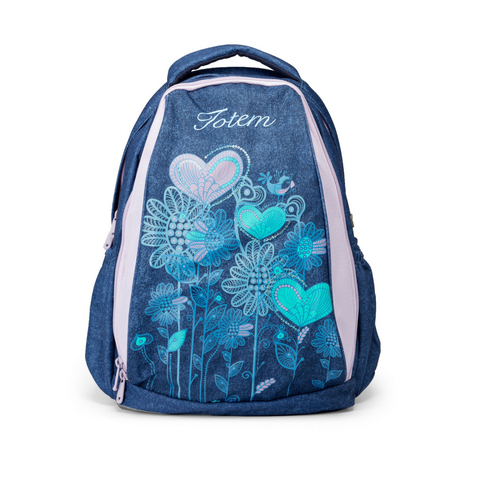 TOTEM is a high quality schoolbag, school backpack and accessory range. Our schoolbags offer kids a positive health advantage due to the well researched design. The schoolbags are packed with innovative features to assist kids to carry the heavy loads in a medically correct way. TOTEM offers a wide range of school bag and backpack design with multiple styles so your children can choose a bag that they love. We are confident and stand behind our product quality. In order to claim under the guarantee, proof of purchase must be shown. The guarantee covers factory defects in material and workmanship within the specified time. This is a carry in guarantee. Schoolbags must be delivered and collected by the customer, to the retailer or to Kidswan Marketing (Penang). Alternatively, repairs can be posted. Please be aware that TOTEM provides different guarantees for specific products. (see hangtag for details). Product will only be replaced if it cannot be repaired. This warranty does not cover damage caused by improper care, tearing and exposure to extreme temperatures nor does it cover the normal wear and tear resulting in the natural breakdown of material after extended use. Repairs to the school bag will not be for TOTEM’s account if the bag is damaged due to abuse by the owner. If the product is damaged due to one of the above mentioned reasons, you can still contact your TOTEM retailer for advise. We can offer to repair your school bag using replacement parts. Repair costs will be charged at a fair rate and only to cover labor costs. All spare parts are offered free of charge, in order to service our customers. If still under guarantee then we will cover the return postage cost. Please note that we may no longer offer the exact product that you return. If a replacement credit is issued you will not get your product back. 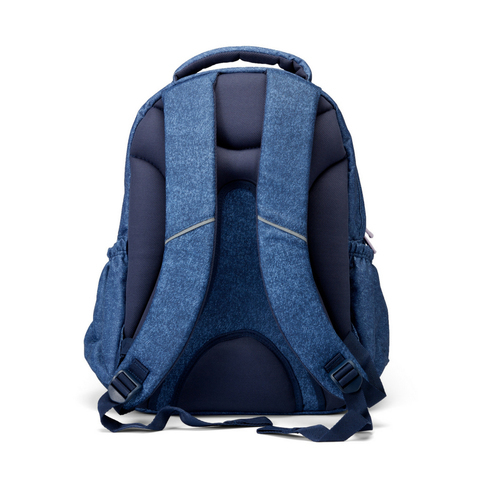 If a schoolbag is replaced before the guarantee expires, then the customer must pay in the difference between the cost of the old schoolbag and the price of the new product.